Purchase this product now and earn 30 Guru Coins! 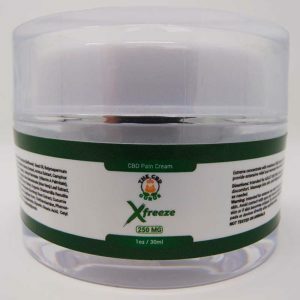 Our CBD pain cream is a game changer in the science of medicinal topical creams! If you are in need of a pain relief cream, we have formulated a perfect natural alternative for neck and back pain, joint inflammation, arthritis or just muscle soreness/tenderness. No longer do you have to tolerate using a pain cream that has the heavy odor of menthol accompanied by glances from people around you. 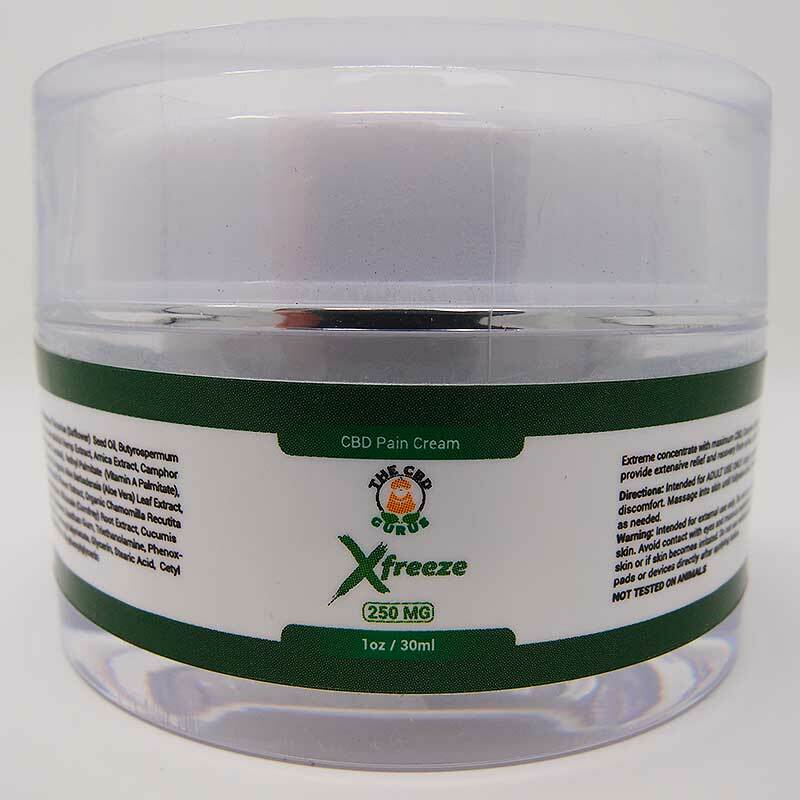 The CBD Gurus Pain Freeze Cream is comprised of aloe vera infused with CBD. It brings you the best of both worlds, the CBD provides you with its powerful natural pain reliving qualities. It also contains arnica which is known to temporarily relieve muscle pain and stiffness due to minor injuries, overexertion, and falls; reduces pain, swelling, and discoloration from bruises. Working synergistically with cannabidiol it gives another one two punch to help alleviate pain. The cream gives essential vitamins for your skin, such as Vitamins A, C and E which results in an ideal balance for this cold therapy cream. Try this revolutionary pain relief cream today!